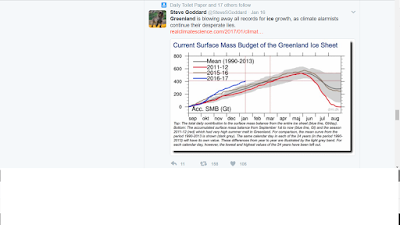 So how come the discrepancy between Goddard's tweet, which was re-tweeted more than once by his followers, and the data from NOAA? 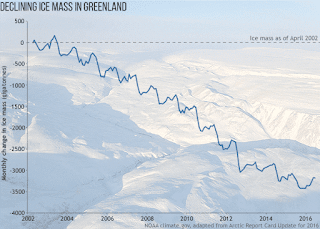 Here you can follow the daily surface mass balance on the Greenland Ice Sheet. 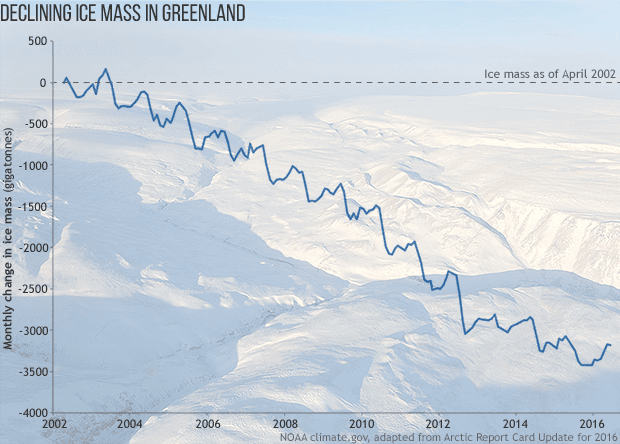 The snow and ice model from one of DMI’s climate models is driven every six hours with snowfall, sunlight and other parameters from a research weather model for Greenland, Hirlam-Newsnow. 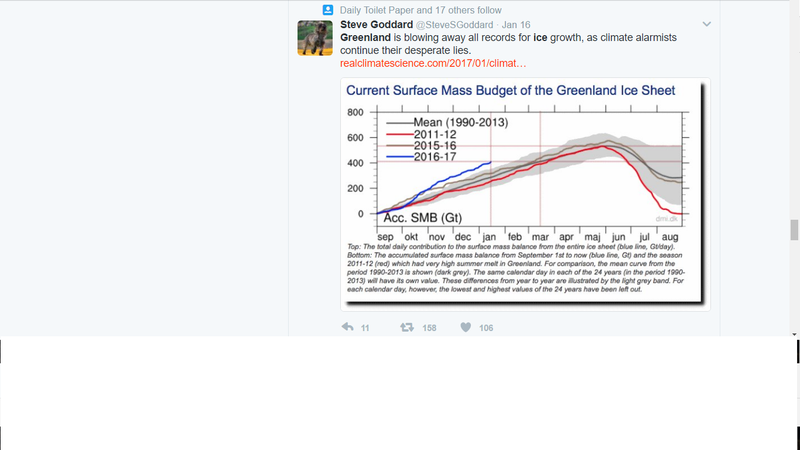 So Goddard (who is one of the big, major AGW deniers of the blogosphere) is quoting a model, not observations. This is significant, because the "sceptics" dismiss climate models out of hand (except when they agree with their beliefs), yet here is Goddard throwing up a model against the observations. Models are useful, because they roll out our understanding of reality. If they deviate from observations, they need to be changed with more, or more accurate, inputs to bring them closer to reality. Goddard today is busy acclaiming his hero, Donald Trump. Let's hope that Trump checks his facts better than his fan. 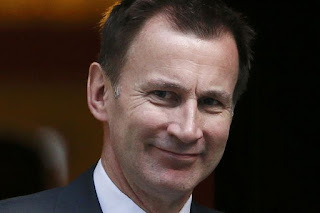 But don't hold your breath.